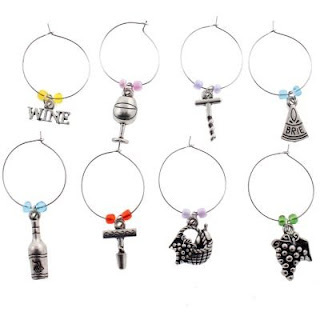 8 Wine Glass Charms Only $2.95 Shipped! Right now at Amazon, you can get a set of 8 wine glass charms for only $2.95 with FREE shipping! Just slip the charm around the glasses' stem and you'll never lose your drink. These would also make a cute hostess gift!